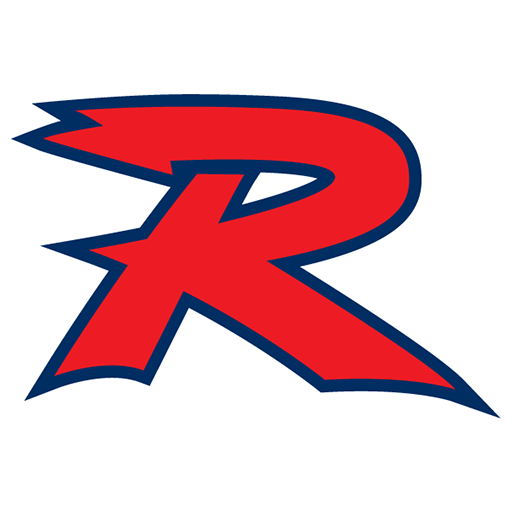 Fill out the form below to register for 2019 Spring Soccer. 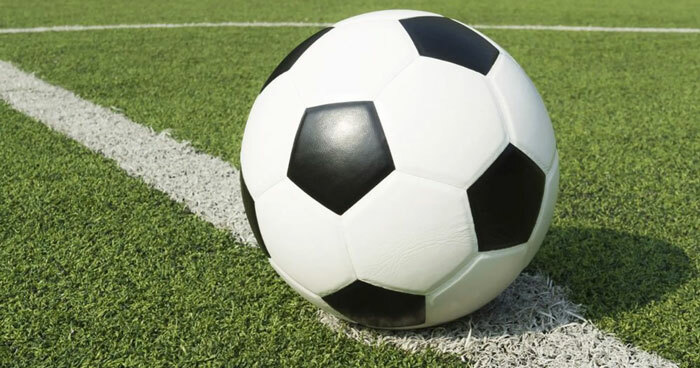 Click here for the Soccer Registration form. Completed registration forms will need to be brought to the Parks & Recreation building at 371 Scarbrough Street. 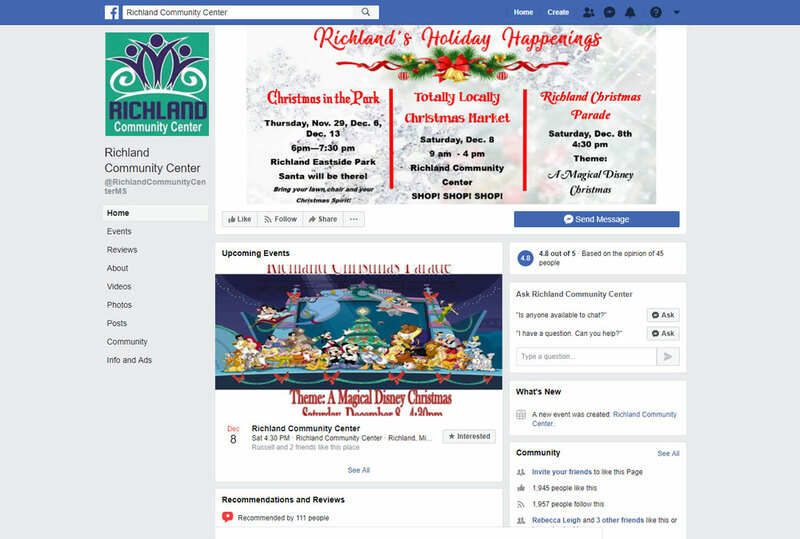 Visit the Richland Community Center’s Facebook page for news about upcoming events, pictures from the community, and information about all things Richland related. 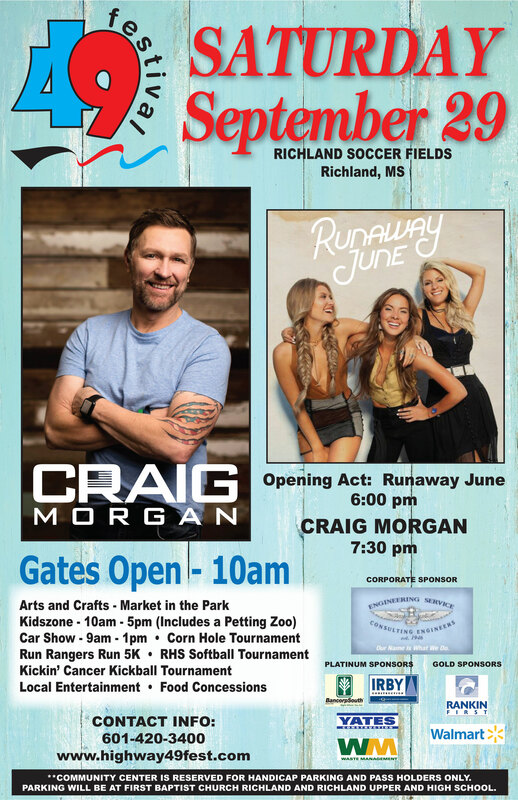 On behalf of the Board of Aldermen, and the employees of the City of Richland we welcome you to the City of Richland’s web site. Designed to provide, you, the viewer up-to-date and important information about our city. If you are a first-time visitor browsing our website, we hope you enjoy the view – from our new Town Square, from our Eastside Park to Westside Park to the hospitality of all our citizens. We are “Proud to call it Home”. We continue to enjoy our small town atmosphere; however, we are excited about the growth and expansion of our community. The work planned for Highway 49 South will be challenging for all traveling through our city but I can assure you that we will be working together to make this expansion go smoothly. If you are nearby, please drop by for a visit at city hall or call our office at 601-932-3000. 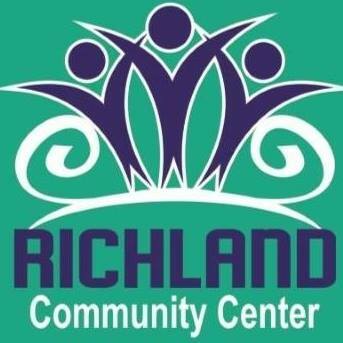 Saturday, December 8th – Richland Community Center – 9 a.m. to 4 p.m.
Click here to view the latest Senior Scoop. **COMMUNITY CENTER IS RESERVED FOR HANDICAP PARKING AND PASS HOLDERS ONLY. 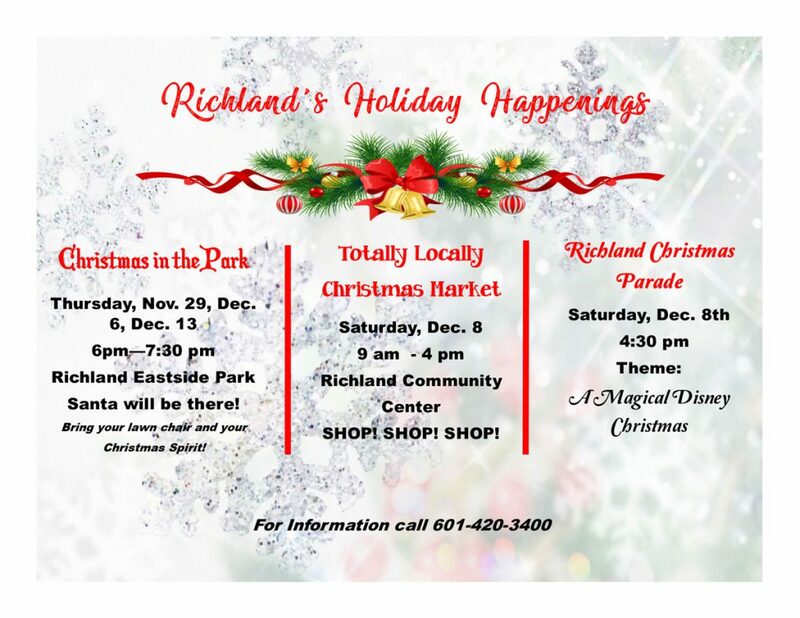 PARKING WILL BE AT FIRST BAPTIST CHURCH RICHLAND AND RICHLAND UPPER AND HIGH SCHOOL.